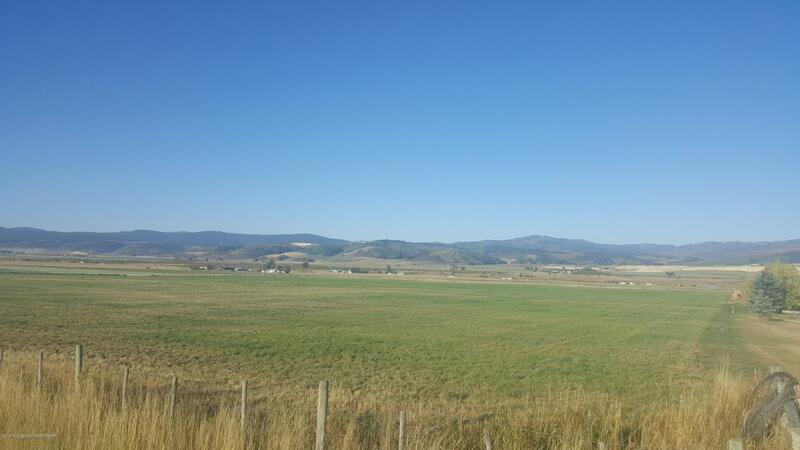 This 41.64 acre parcel in beautiful Star Valley Wyoming, just 45 minutes from Jackson is an Investment opportunity. This property is currently producing certified hay with irrigation rights and wheel lines that are optional also. The views are spectacular in every direction with hunting, fishing, boating, trail riding or hiking just minutes away. The land is flat and easily accessible from HWY 89. There are Commercial businesses in the area, so check with Lincoln County Planning and Zoning to see if your plans and needs could be met using this acreage to its full potential.